AdamMaleBlog - Gay Culture, Art, Music, Humor, and more! : Davey Wavey and Troy Accola: Prostate Secrets for Maximum Pleasure! Davey Wavey and Troy Accola: Prostate Secrets for Maximum Pleasure! AdamMale teamed up with Davey Wavey and adult star Troy Accola in a great new video discussing everything prostate! The boys give you five handy tips to maximize pleasure. But more importantly, they show you three toys to help you find the P Spot every time! We assure you, you will be speechless. 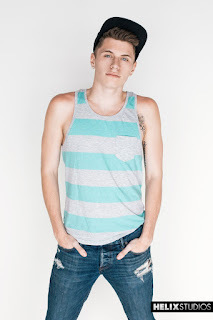 Be sure to visit Davey Wavey at his Website or YouTube Channel! Check out Troy at his Twitter.